Is Liberty Global Plc (NASDAQ:LBTYK) ready to rally soon? The best stock pickers are getting less bullish. The number of long hedge fund bets shrunk by 9 lately. Our calculations also showed that LBTYK isn’t among the 30 most popular stocks among hedge funds. LBTYK was in 32 hedge funds’ portfolios at the end of December. 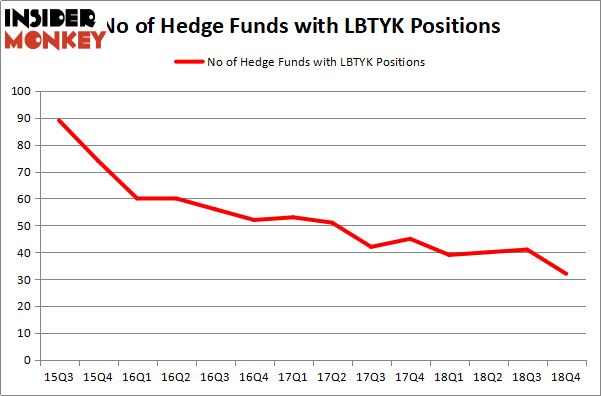 There were 41 hedge funds in our database with LBTYK holdings at the end of the previous quarter. We’re going to take a peek at the fresh hedge fund action regarding Liberty Global Plc (NASDAQ:LBTYK). What have hedge funds been doing with Liberty Global Plc (NASDAQ:LBTYK)? At the end of the fourth quarter, a total of 32 of the hedge funds tracked by Insider Monkey held long positions in this stock, a change of -22% from one quarter earlier. On the other hand, there were a total of 39 hedge funds with a bullish position in LBTYK a year ago. So, let’s find out which hedge funds were among the top holders of the stock and which hedge funds were making big moves. Of the funds tracked by Insider Monkey, Boykin Curry’s Eagle Capital Management has the largest position in Liberty Global Plc (NASDAQ:LBTYK), worth close to $782.8 million, corresponding to 3.2% of its total 13F portfolio. On Eagle Capital Management’s heels is Seth Klarman of Baupost Group, with a $613.9 million position; the fund has 5.3% of its 13F portfolio invested in the stock. Other peers with similar optimism contain John H. Scully’s SPO Advisory Corp, Warren Buffett’s Berkshire Hathaway and Michael Pausic’s Foxhaven Asset Management. 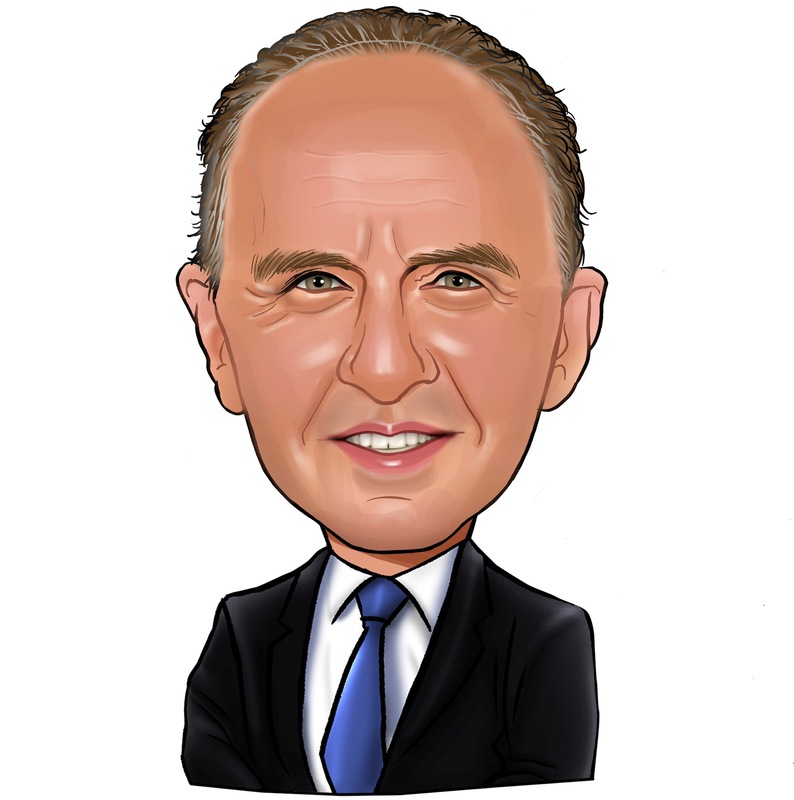 Because Liberty Global Plc (NASDAQ:LBTYK) has experienced falling interest from the aggregate hedge fund industry, it’s safe to say that there exists a select few fund managers who sold off their entire stakes heading into Q3. Interestingly, Lou Simpson’s SQ Advisors said goodbye to the largest position of the 700 funds followed by Insider Monkey, comprising an estimated $171.9 million in stock. Sharlyn C. Heslam’s fund, Stockbridge Partners, also dropped its stock, about $91.9 million worth. These transactions are intriguing to say the least, as aggregate hedge fund interest fell by 9 funds heading into Q3. Let’s go over hedge fund activity in other stocks – not necessarily in the same industry as Liberty Global Plc (NASDAQ:LBTYK) but similarly valued. These stocks are Splunk Inc (NASDAQ:SPLK), Avangrid, Inc. (NYSE:AGR), Fifth Third Bancorp (NASDAQ:FITB), and KeyCorp (NYSE:KEY). All of these stocks’ market caps match LBTYK’s market cap. As you can see these stocks had an average of 25.5 hedge funds with bullish positions and the average amount invested in these stocks was $493 million. That figure was $2958 million in LBTYK’s case. KeyCorp (NYSE:KEY) is the most popular stock in this table. On the other hand Avangrid, Inc. (NYSE:AGR) is the least popular one with only 13 bullish hedge fund positions. Liberty Global Plc (NASDAQ:LBTYK) is not the most popular stock in this group but hedge fund interest is still above average. However, overall hedge fund sentiment towards LBTYK has been on a downward path since 2015. Our calculations showed that top 15 most popular stocks among hedge funds returned 19.7% through March 15th and outperformed the S&P 500 ETF (SPY) by 6.6 percentage points. Only a few hedge funds were also right about betting on Liberty Global as the stock returned 22.9% and outperformed the market as well.